Stop by to write and mail a letter to Santa! When it comes to Christmas wishes, it’s always smart to put them in writing. 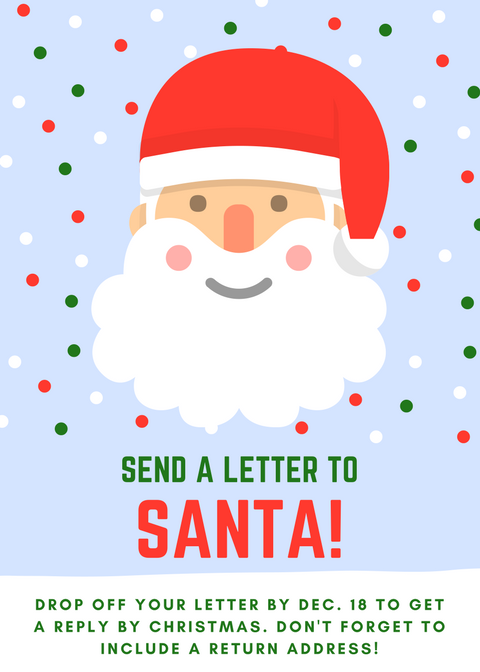 Children are invited to drop off their letters to Santa at our Cold Spring Branch, Carrico/Fort Thomas Branch or Newport Branch. Santa will be sending out replies to all of the letters he receives! Blank letters are available in the children’s area. All you have to do is bring your child in to fill one out. You are also welcome to bring your own letter from home. Be sure to include a return address so that Santa knows where to send his reply to. In order to receive a reply by Christmas, please drop off the letter by Dec. 18. Santa is very busy this time of year. If you can’t drop off your letter until after Dec. 18, you may not receive his reply until after Christmas.